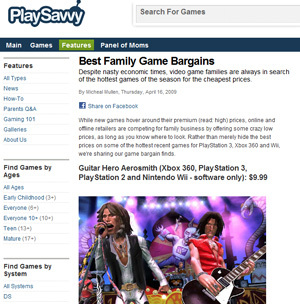 AOL’s PlaySavvy.com grew out of the confusion that parents had about the choices of games that their kids wanted to play. As a dad of a child who was nearing the beginning ages of enjoying more mainstream gaming choices like the Nintendo DS, I contributed a good deal of posts and parental oversight for freelancer contributions. Can You Tickle a Plant?